Thank you for the postings on my father as a B-24 pilot. As you have noted, he died in 1993, having been hit by a car while walking. I will have to look through his flight log more. 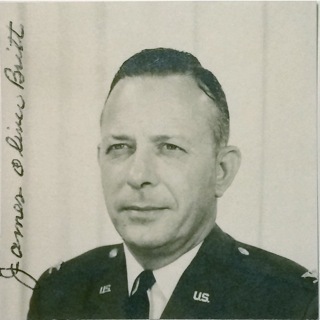 He was a command pilot in SAC and retired in 1970 after serving his final years with the IG at Norton AFB, at Lockbourne AFB, and wing commander at Little Rock AFB, Goose Air Base (Labrador) and his final year as a staff officer with the SR-71's at Beale AFB. He went into real estate in San Diego in retirement. My mother told me at one time that he was the youngest O-6 in the USAF. The passport photos I found show him in the Guam passport in 1951 as a Lt. Col (or maybe Major) and as a Col. in probably 1965 or so.